With the potential to convert nearly 150 billion trashed coffee cups per year (in the US alone) into regional seed bombs, this product aims to go beyond simple recyclability to help replenish native wildflower populations in regions around the country (or eventually: the world). 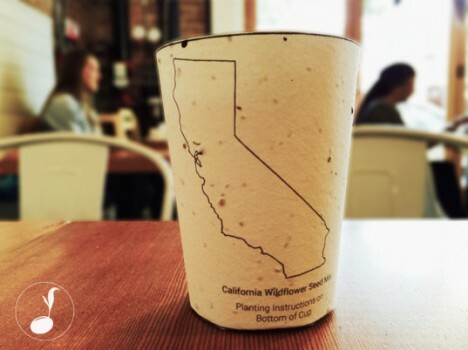 The creators of Plant Trash boast compost-certified cups that created with post-consumer paper contain organic seeds of indigenous species, starting with various parts of California – they are also testing to make sure the seeds will be able to survive the heat of being adjacent to a hot beverage. The paper cups themselves will biodegrade naturally in about half a year and help the surrounding soil grow the seeds contained within them. The seed mixes all include a tree seed as well as various region-appropriate plant seeds. See more in Earth & Nature or under Science. March, 2015.